As long as soccer concerned, there were always restrictions on amount of foreign players that can participate in 1 team in national championship. This was of course done to promote native players. Do you think it's racist? I'm pretty sure that most if not all European national teams consist of their native players. Maybe except for France. My only concern is that if a player studied Go in Asia (was insei to become a pro player or became a pro) that's not fair for them, to represent western countries. If I didn't explain myself correctly in the article and it sounded racist, please accept my apologies as I never intended to diminish anyone. Yo are therefore unhappy about the state of every sport in every nation on earth. Look at NBA, NHL, the national football (soccer) leagues, long distance running, biathlons, and every other olympic and non olympic sport (including chess, among others) and see where the players come from for each national team. If you can string a 25% "native" born ratio then you've done well. Furthermore, if you insist that indeed the entire world of sports is unfair and non of these sportpeople should get another citizenship and compete for other countries than the ones they were born in then frankly you are a huge bigoted racist. "It seems that both USA and Canada rely on the players of asian background and not on their own." and what exactly background of USA and Canada? I think the person wrote this should apologize. it is racist. or perhaps the AGA should limit membership based on ethnic background. You are saying you are happy if asian strong amateurs or pros teach Go in Europe/US/Canada, but you are unhappy if they represent the country that they already became citizen of. If you think that way, I cannot discuss anymore...it comes from your selfishness. "Would it be fair if he gets a citizenship of a European country and will participate for it?" Please explain what you mean by "fair". Is it not fair because he learned Go in Asia and then came to Europe?Of course that is fair in terms of competition. Not only is it fair, but also he brings his knowledge to European players, so it is beneficial. If a local player learns from asian players reside in his country I'd be very happy. I always welcome asian players to promote Go in western countries. But this player will never be competible against his asian fellows. If you read interview of MilaMilan or Yoon Young-Sun 8p you would know that they said the only way for a player to become pro is to go to study Go in China or Korea. 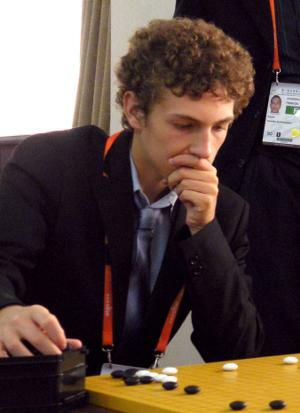 For example, on last European Congress, Kim Youngsam, korean amateur, had perfect score 10 wins. Would it be fair if he gets a citizenship of a European country and will participate for it? I don't think so. You can never compare studying atmosphere in China/Korea to western countries. I get your point.Now think about this. If a local player, by your definition, learns GO from strong asian amateurs or pros who reside in Europe/US/Canada(example:Guo Juan,Jiang Mingjiu), do you feel unhappy? If not, how is it any different if an asian player learns Go in Asia and come to Europe/US/Canada? Ok, I think that everyone is taking it in a bad way. He just wanted to say something like creating new powerfull players that were born in the country and not just adopting the best players of another countries or something like that. Don't take it the bad way, just because how he said it, also I think that are a lot of players that also think that way. I think that isn't bad, but i understand what nothing wanted to say.